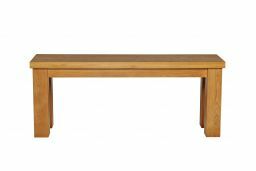 Solid American oak 120cm long dining bench from the Country Oak range. 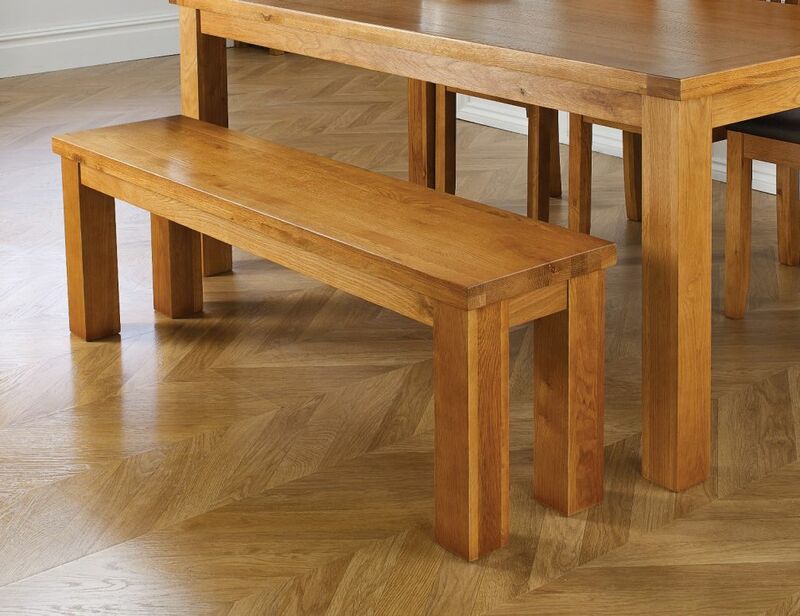 Made from solid oak sourced from plantation American forests. 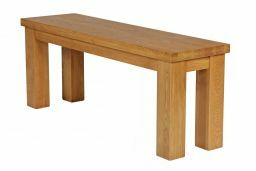 These indoor dining benches are made exclusively for Top Furniture Ltd so you wont find them for sale on other websites and you wont find better value in the UK. If you find a better deal let us know as we offer a price match policy. 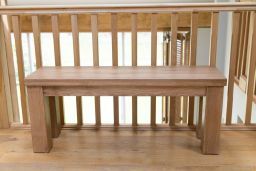 Indoor benches are very popular as an alternative to chairs to make a great looking bench set. 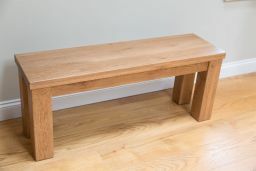 View our full range of oak benches here. 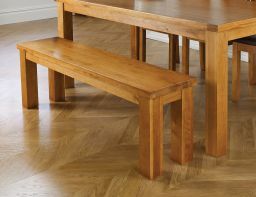 Please note: These are chunky solid oak benches built to last with 45mm thick tops and 100mm thick legs. 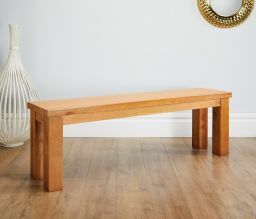 Looks great on the wooden floor in our entrance hall and does a good job in hiding the shoe rack! 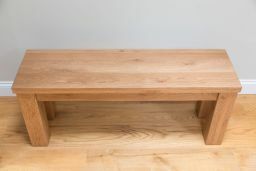 Good quality, solid & sturdy oak bench. Excellent value. 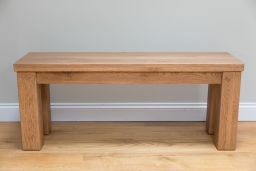 Great oak dining table bench that matches the one we've had for a few years discontinued from another furniture store. Really good quality and great price! Excellent solid bench. Great quality wood and very well made. 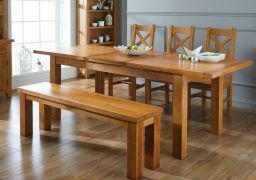 Easy assembly and looks great in our kitchen with table and chairs. Very fast delivery and well packaged. Goods exactly as described and very good quality. 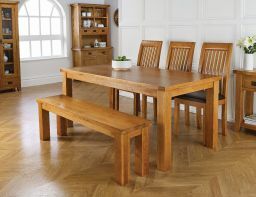 Very impressed by Top Furniture's quality of product and competitveness of their prices. 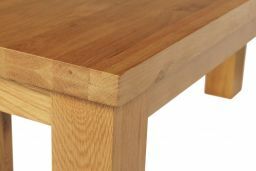 We viewed the product we bought in a local furniture shop and the price we paid on Top Furniture's website was £100 less. The item was very well packaged and was delivered quickly. I'd definitely use them again. The service received has been excellent and personal. Although there has been an issue with the table it is being replaced without any quibbles. The table and sideboard were both delivered promptly and on the day it was promised. 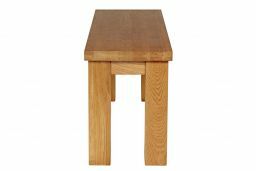 Top Furniture kept me informed regularly and replied to my emails promptly. A very refreshing experience in dealing with an online company. Great furniture, great price and great customer service. 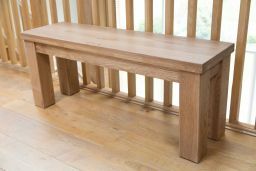 Lovely solid oak bench. Looks great in our hallway with baskets of shoes stored underneath it.